Construction for what will be Wilsonville's only upscale hotel is now underway. 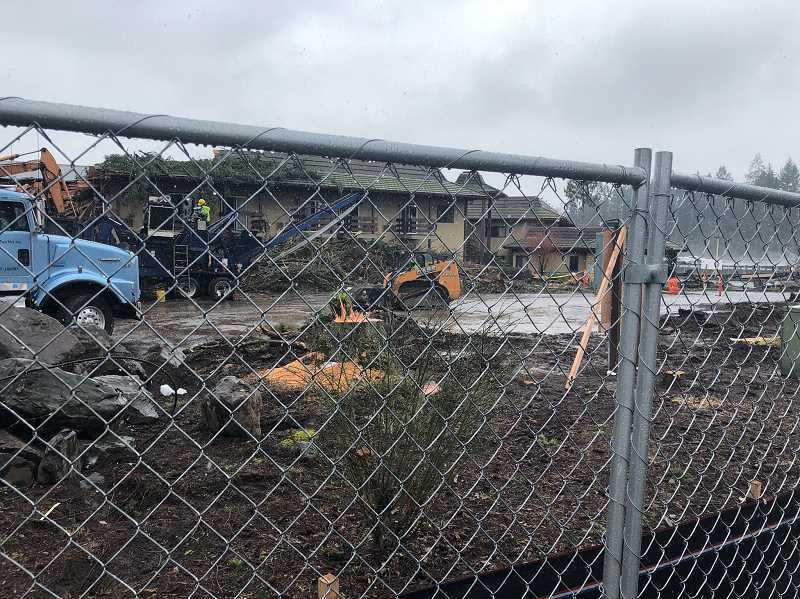 The project put forward by RR Hotels Portland was approved by the City of Wilsonville's Development Review Board Panel A in late 2017 and is slated for completion in about 16 months. "It's certainly going to be a very visible project," said Daniel Pauly, Wilsonville senior planner. "It's one of the first things you see going northbound on I-5." According to the approved proposal, the hotel on the 2.37-acre site will be four stories, over 21,000 square feet, have over 100 parking spaces and 24 bicycle racks, and will include extensive landscaping. Dave Kimmel of PDG Planning Design Group, which helped plan the project, and owner Rohit Sharma said the quality rooms, indoor pool, conference room, combined basketball and tennis court, restaurant, full-service breakfast and generally high-quality amenities add up to a four-star hotel. "Wilsonville is an upcoming suburb of Portland, and a lot of companies in Wilsonville, like Mentor Graphics and Flir System, they currently don't stay in Wilsonville (due to the quality of hotels in the city)," Sharma said. "We wanted to build something for the community and for corporate employers ... that they can use and be proud of. "It's probably going to be the nicest hotel south of downtown." The process from DRB approval to construction took about 18 months. "It's pretty normal, depending on the size of the project, for significant delay from the time you get land-use approval to construction document approval," Kimmel said. The hotel also feeds into Wilsonville's push to bolster tourism and, in turn, generate more lodging tax revenue. The City recently released a study showing that the average tourist visiting Wilsonville in the summer has an income about 50 percent higher than the average Oregon tourist and Public Affairs Director Mark Ottenad recently said the Hilton project could help serve the affluent demographic. "We don't anticipate negative impacts to the community. We think it will be a positive impact," Kimmel said. "It will be a gateway building that people coming from the south will first see when they come into the city. We wanted to make sure it fits in with the city as well as bring an upscale hotel project to the city."